With the release of the new iPhone 7, there are plenty of cases flooding the market. Which one is the best for you? This list will explore ten of the options that are available through Amazon. The new phone’s biggest hardware difference as far as the accommodations made by the case would be the lack of headphone jack. There are lots of other differences in the iPhone 6s/6s plus and the iPhone 7. Let’s look at some case options. This is a basic clear case for your iPhone. There aren’t any frills on this one and it doesn’t come with a screen protector. It’s crystal clear and the thin design flaunts the original design of the iPhone 7. It features raised lips that protect the phone from shattering and also protect the camera if the iPhone is dropped. The material is PC and it has Air-Cushion Tehcnology in all corners. This case is not entirely unlike the case above. It’s clear in design and features the Air-Cushion Technology that helps to keep the phone from shattering if dropped. 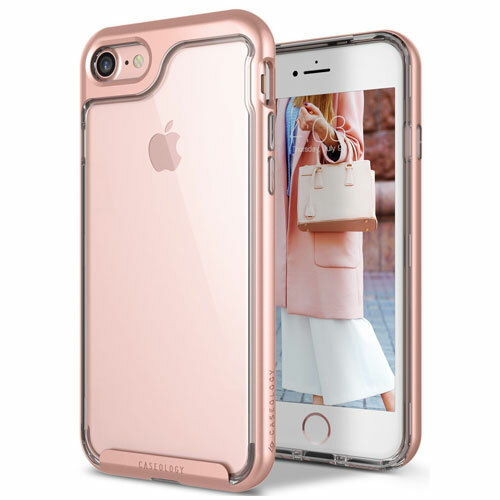 It has a ring around the edge of the phone case that features one of four colors: clear, black, rose crystal, and mint making for a fun bit of flair if paired with an iPhone 7 of a different color. Precise cutouts make it easy to access the Lightning port. This case is a step up from the basic clear case design. It’s got rose gold edges that complement the rose gold iPhone 7. It has a slim profile that makes it very easy to hold without adding bulk to the phone itself. 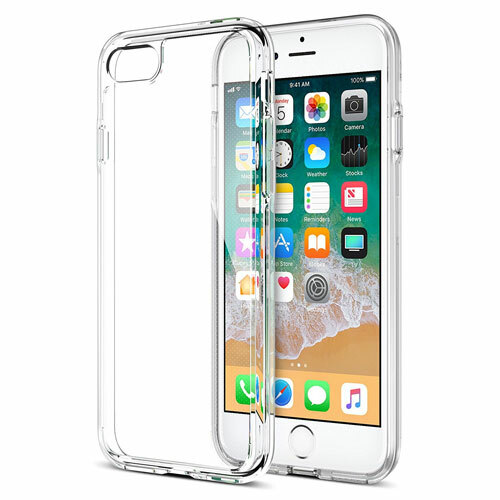 It has both acrylic and polycarbonate materials in it making it ideal for protecting the iPhone 7 if dropped. This case features a little more protection that the first Spigen, Inc. case. It’s listed as Rugged Armor and that’s just what it is. 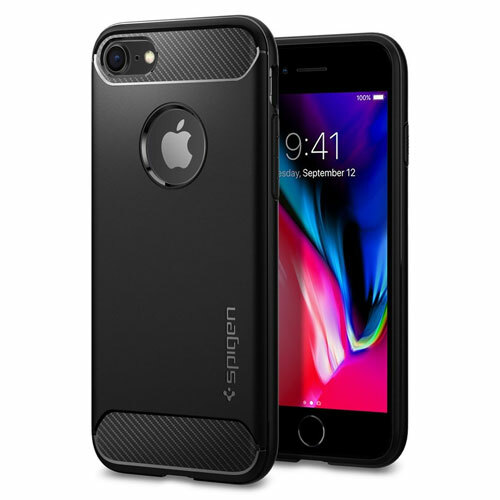 It has glossy carbon fibers that give it a pristine look and has a flexible TPU layer making it easy to take off of and put on your iPhone 7. It also has Air-Cushion Technology in all corners. 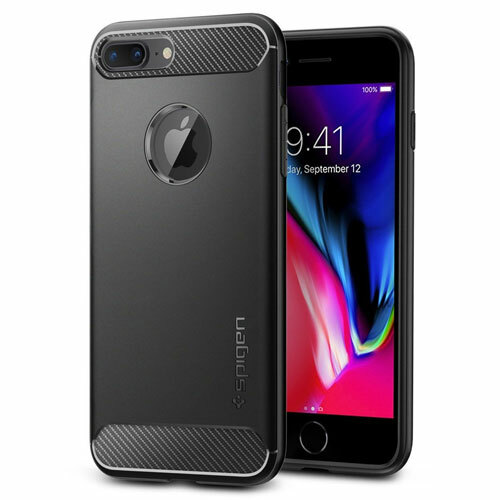 This case looks like it gives a little more protection than the first three cases; however, the design does add a small amount of bulk to the original size of the iPhone 7. 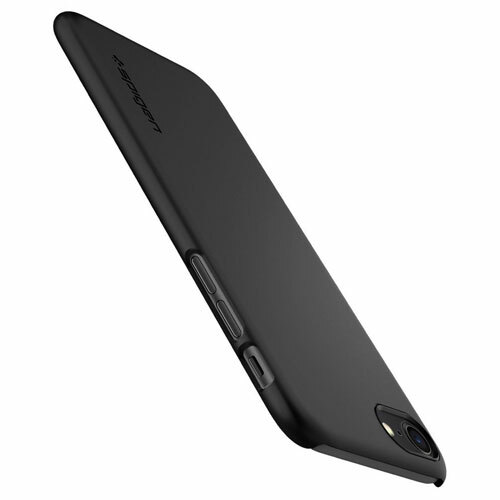 This is another black case from Spigen, Inc. that features the same Air-Cushion Technology in all four corners as the others, making it sturdy when standing up to a fall. 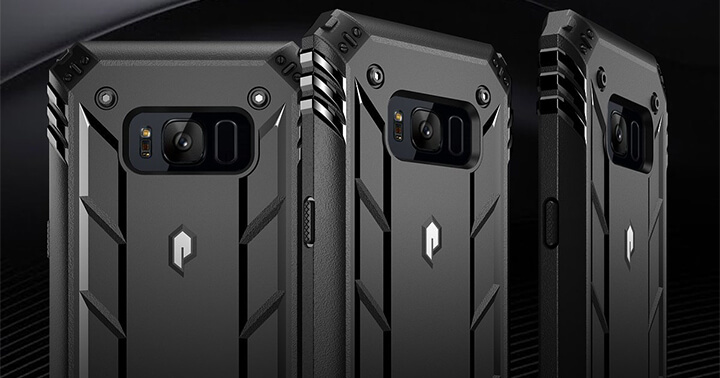 It’s more form-fitting than the Rugged Armor variation and keeps the slim profile of the phone. The material of the cover keeps fingerprints from being visible after handling the phone and also offers a comfortable grip. 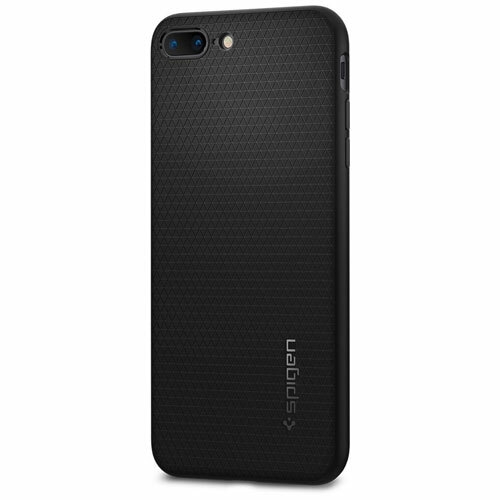 Another case from Spigen, Inc., this case is very similar to the other Rugger Armor case. 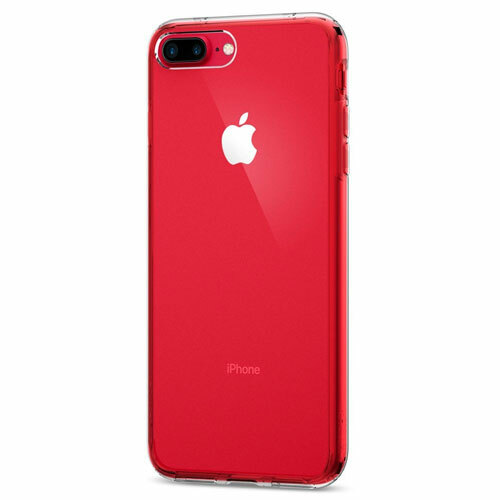 This case has a premium look and offers an opening to show off the Apple logo on the back of the iPhone 7. It’s also got glossy carbon fibers for a shiny look. It has a flexible TPU layer that is fingerprint-resistant. 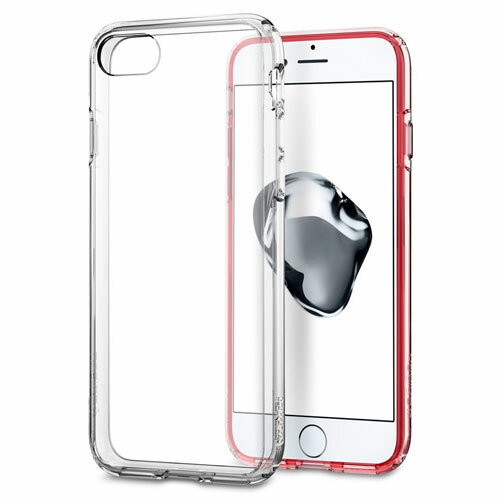 This case also features the Air-Cushion Technology that Spigen, Inc. is known for. 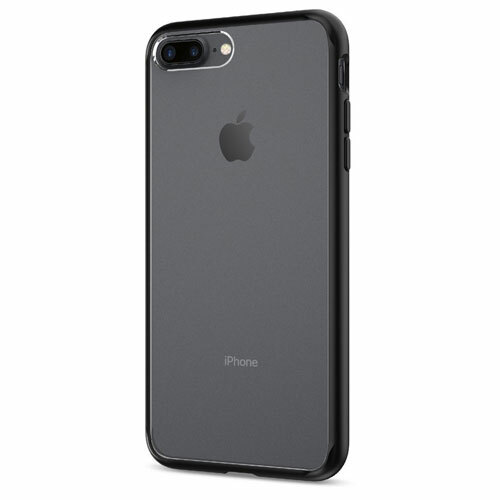 Another black case, this one has a sleeker profile that allows the original design of the iPhone 7 to shine. It has a minimalist matte look to it that won’t show fingerprints as much as some of the glossier designs. 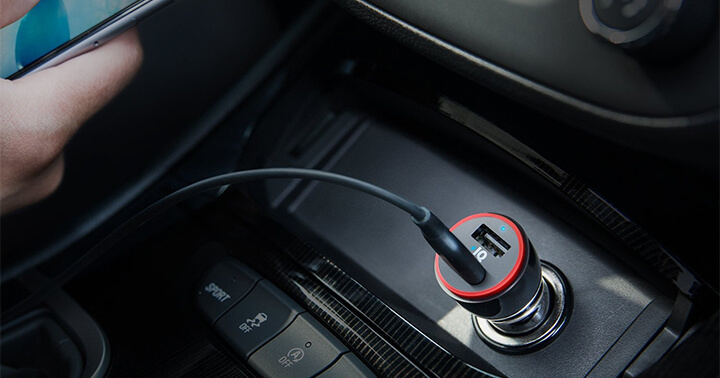 It includes a spot for magnetic car mounts and is pocket friendly. It’s available in five colors that match the iPhone 7’s colors. 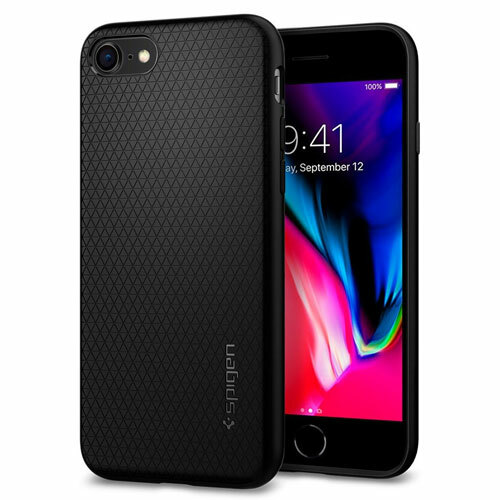 This is very similar to the Liquid Armor case listed above. This one features a TPU layer that makes it easy to put it on and take it off of the phone. It has a diamond-shaped pattern engraved on the inside and the outside giving it a sharp look. It’s got a slim profile that will allow it to easily slid into pockets or purses. It features Air-Cushion Technology and Mil-Grade protection. Like the first cases in this list, this case is a simple clear case. 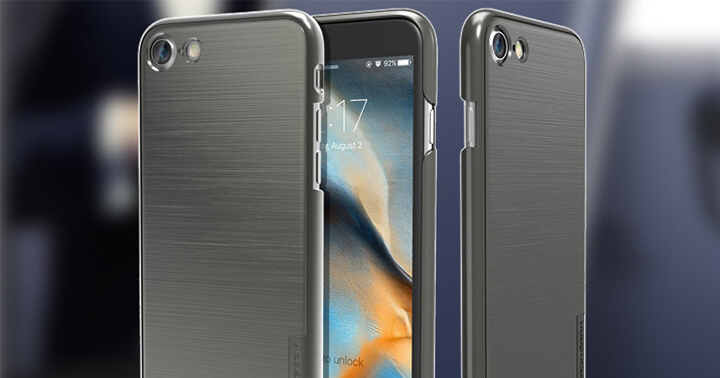 It features two layers of protection – a TPU layer that absorbs shock and a hard case that prevents scratches. It has a hard back and has bumpers in all four corners to prevent shattering or breaking if dropped. This clear design enhances the original colors of the iPhone 7. This case is for the iPhone 7 plus. It features a clear backing with a black ring around the outside of the case to enhance the original color of the iPhone 7 plus. The design flaunts the aesthetic of the iPhone and the crystal clear back will not yellow over time. Raised lips around the screen and the camera prevent shattering and breaking if dropped. It also features the signature Air-Cushion Technology of the Spigen Inc. products. All of these products would make great phone cases. For many people, the combination of functionality and form make a difference on their phone case purchases. For me, I like to know that my phone is protected adequately but also looks good in its case and is still easy to use. Of these products, my choice would be the last. The slim case offers a little bit of style with its multiple color choices and offers a good deal of protection. The raised lips around the camera and the screen are a great selling point, as those can prevent having to replace an entire phone if the phone is dropped. Knowing that the corners are cushioned also helps. When buying a phone case, choose the one that best suits your needs. If your job requires lots of physical movement and you know you’ll be dropping your phone, go for functionality first. If, on the other hand, you aren’t prone to dropping your phone, choosing form first isn’t such a bad idea. I hope this list has been helpful in making a choice about your new phone cover. Happy shopping!